She promotes and improves transit, walking, bicycling and shared use mobility across Memphis. 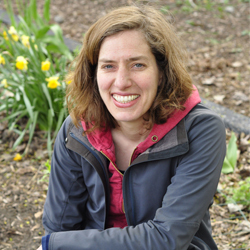 Suzanne serves on the Boards of Explore Bike Share, Bike Walk Memphis, and the Compost Fairy. She previously worked as Pedestrian Program Manager for Chicago Department of Transportation and Director of Environmental Affairs at Chicago Public Schools, and founded a community bike shop in Seattle, WA. She has a Masters in Public Administration and is a LEED AP BD+C.